Enjoy yourself in the Hartenstraat, which is of course easy in this cozy part of Amsterdam. 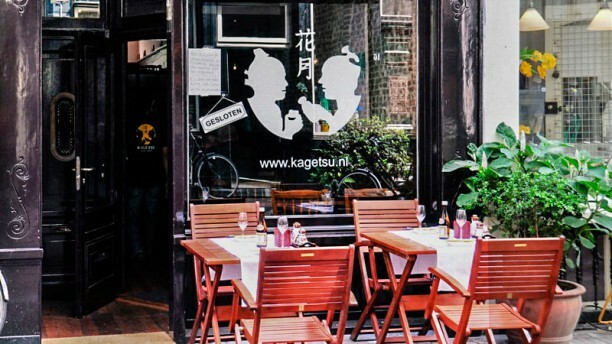 Yet there is for Japanese cuisine lovers one place that stands out here, namely restaurant Kagestu. The interior is designed with sense. The Amsterdam prints are made with a nod to the Japanese style. The hospitality fills the room with relaxation and friendliness. An environment where you like to enjoy the Japanese culinary traditions. Went on a slow night for dinner. Food and service were great! Cozy and intimate place. Friendly service and incredible food! Amazing sushi!! The sashimi and nigiri was just perfect, you could tell the fishes and seafood were really fresh and of good quality. The starters we had (seafood tempura and gyozas) as well as the drinks (warm sake and white wine) were also good, but more on the okay side than amazing. Service was good and the atmosphere nice. Overall, a great experience, all thanks to the amazing sushi! very good tuna sashimi and well spicy kimchi. Our host was kind and efficient. The place is quiet and cosy. We enjoy eating at sushi restaurants frequently and, although unsure about sushi in Amsterdam, were very impressed with this place. Everything we ordered was served with generous portions of fish. Salmon nigiri had a generous piece of salmon on each piece, and the rainbow roll was outstanding, with lots of salmon and tuna. The shrimp tempura roll had bits of mango and sauce which was altogether absolutely outstanding. They also had a nice selection of Japanese beers, and I enjoyed my usual Sapporo. Whenever reviewing a sushi place I wait until the next day to be sure everyone is still feeling good, and so I can tell you the sushi we enjoyed yesterday at Kagetsu was fresh as well as delicious! I go very regularly to Kagetsu for me remain one of the best in time especially i you consider quality/price. I am very fond of their starter the chicken gyoza are my favourite. Usually we continue with sashimi and different tempura. Last time I tried the chicken curry rice and I liked it. I definitely go back because I feel home.